This is a posting containing the current editions of the North Carolina Council of Chapters newsletter(s) - oldest to newest. This is an archive of all the Council Comments for 2018. This is an archive of all the Council Comments for 2017. This is an archive of all the Council Comments for 2016. This is an archive of all the Council Comments for 2015. This is an archive of all the Council Comments for 2014. This is an archive of all the Council Comments for 2013. This is an archive of all the Council Comments for 2012. This is an archive of all the Council Comments for 2011. * The current issue, as well as an archive of past issues, can be opened via this link. * The Sandhills Chapter (NC-06), Jeffrey Beran, President, welcomes you to join the chapter in Pinehurst, NC on January 18-19, 2019. * Open the President's welcome letter (January plans) which has all the information needed to make your stay a comfortable one in Pinehurst, NC. * The reservation period for the hotel accomodations has expired for the preferred rate...inquiries regarding availability and cost may be made via phone at (855) 327-2470 or you can send an email to mary.berry@pinehurst.com. * Posted in the below, downloadable files are documents that are needed for all NCCOC regular meeting attendees...please open/read and print a copy as may be needed for the meeting on January 20, 2019. * SPECIAL NOTE: CAPT David Lee sent this e-mail to all Council leaders in preparation for the upcoming regular meeting on Saturday, January 19th. Please take FORAC! You can see the meeting agenda that David referred to in his message here. Also, pay attention to your Chapter's Committee Module as the submission of same is an important part of LOE scoring by MOAA later in the year. Committee Modules MUST be updated by March 1st. The attached document - 181019 - NCCOC 4th Quarterly Meeting Announcement - was the chapter invitation from Ken Klassen, SENCLand Chapter President regarding the 4th Quarterly NCCOC Meeting that was held in Wilmington, NC on October 19-20, 2018. * North Carolina Council Chapter Presidents had the below downloadable files for use in preparation for the Saturday, October 20th business meeting. * The NCCOC 3rd Quarterly Meeting was held in Columbia, SC as part of the Council and Chapter Leadership Workshop. * The Council and Chapter Leadership Workshop brought top council and chapter leaders together to discuss best practices and topical issues regarding legislative issues and advocacy efforts, chapter management techniques, leadership succession, membership growth/sustainment, and revenue generation — just to name a few — and work together to strengthen MOAA’s council and chapter system. * Incumbent presidents, membership chairs, and legislative chairs from councils and chapters from the following states were invited to register: Alabama, Georgia, South Carolina, North Carolina and East Tennessee. Substitutes were permitted for the president and membership chair positions, but no substitute were allowed for incumbent legislative chair(s). * The MOAA Mid-Atlantic Council and Chapter Leadership Workshop Agenda can be viewed here. - The second quarterly meeting of the North Carolina Council of Chapters was held on June 15-16, 2018 and hosted by the Charlotte-Metrolina Chapter, CW4 Jay Garbus, President. - The venue was the Crowne Plaza - Charlotte Executive Park, 5700 West Park Drive (Just off I-77 at Exit 5 (Tyvola Rd), Charlotte, NC 28177. * Open the below document to read the Charlotte-Metrolina President's welcome letter. * There is also a flyer that details the Friday evening's speaker, award-winning author and storyteller Randell Jones who will present a talk entitled "Footprints of Daniel Boone" and comes with great accolades from the NC Humanities Council and noted state historians. The Saturday spouse activity was a visit to the Billy Graham Library and Museum which is very close by. It is an interesting and inspirational complex which includes the Graham homestead in Charlotte where Billy and his siblings were raised as well as the resting place for Reverend Graham and his wife Ruth. * The 1st quarterly meeting of the North Carolina Council of Chapters was held in Salisbury, NC and hosted by the Central Carolina Chapter, LTC Gary Applewhite, USA, President. * The lodging venue was the Hampton Inn and the Friday evening buffet dinner was held at Trinity Oaks. * Spouses can open this file, The Hampton Inn & Things to Do in Salisbury, NC for ideas on activities on Saturday. * The 4th Quarterly meeting of the North Carolina Council of Chapters was hosted by the Cape Fear Chapter, Juan Chavez, President on November 17-18, 2017 at Fort Bragg, NC. * Follow the below link to the photo gallery to see pictures from the Friday evening dinner at the Iron Mike Club and the Saturday business meeting that culminated in the installation of the new NCCOC officers for 2018-2019. * The biennial state convention of the North Carolina Council of Chapters State Convention (concurrent 3rd Quarterly Meeting) was held from September 7-10, 2017 at the Historic Williamsburg Lodge, Williamsburg, VA.
* Click here to see information and pictures about the event. * Military Officer Association of America President and CEO, Lt Gen Dana Atkins, USAF, Ret., was keynote guest speaker at the Saturday, September 9th plated dinner for the convention. - The NCCOC participants who attended the event are listed here. - Additional information on the convention can be found in the below, downloadable files. * The Tarheel Central Chapter hosted the 2nd Quarterly meeting at the WinMock at Kinderton (‘The Barn’) in Bermuda Run, NC. Magnificently renovated, WinMock is in the National Registry of Historic Places. * The 1st quarterly meeting of the North Carolina Council of Chapters was hosted by the Piedmont Osborne Chapter in Greensboro, NC. * The 4th quarterly meeting of the North Carolina Council of Chapters was hosted by the Catawba Valley Chapter at the Crowne Plaza Hotel in Hickory, NC. * In his President's Welcome Letter, COL Cansler provided information regarding the meeting site, spouses program and how to make hotel reservations. * See photographs from the Friday dinner here. The 3rd quarterly meeting of the North Carolina Council of Chapters was hosted by the High Country Chapter in Blowing Rock, NC. * Col. Cherie Zadlo, USAF (Ret.) MOAA's Director, Member Products and Services was our guest at the meeting. * Open the Photo Gallery here to see pictures from the evening dinner on August 12, 2016. * The First Flight Chapter hosted the 2nd Quarterly Meeting of the North Carolina Council of Chapters on April 1-2, 2016. * The meeting site was the Ramada Inn Plaza Nags Head Oceanfront in Kill Devil Hills, NC. * Below are the downloadable files posted to enable Officers, BOD members and Presidents to open/read/print (as desired) in order to be prepared to ask questions or discuss the information covered at the regular meeting. As scheduled at the cancelled 3rd quarterly 2015 meeting in Kill Devil Hills, CDR René Campos, MOAA Deputy Director for Government Relations, was our guest speaker. * The Charlotte-Metrolina Chapter hosted the 2016 1st Quarterly meeting of the Council. * Friday, January 8, 2016 Dinner Program. North Carolina Council of Chapters 3rd Quarterly Meeting CANCELED! * The First Flight Chapter's planned scheduling of the 3rd Quarterly Meeting of the North Carolina Council of Chapters on October 2-3, 2015 was CANCELED due to weather concerns with Hurricane Joaquin. * The meeting site was to be the Ramada Inn on the beach in Kitty Hawk, NC. * MOAA's National Deputy Director of Government Relations, CDR René Campos, USN-Ret. (bio in the below downloadable file) was scheduled to be the guest speaker...she has tentatively agreed to participate in a scheduled October 13, 2015 TELCON. * The 2015 NC Council of Chapters state convention, which also served as an alternate 2nd quarterly council meeting, was held at the High Hampton Inn located in Cashiers, NC in the the heart of the Blue Ridge mountains. * Follow this link to open and enjoy a photo montage from the convention. * The Coastal Carolina Chapter hosted the 1st Quarterly Meeting of the North Carolina Council of Chapters in New Bern on January 16-17, 2015. * The Double Tree by Hilton in New Bern provided the lodging arrangements for the meeting and the Friday night dinner was held at the Chelsea Restaurant. - The below downloadable files contain information concerning business discussed at the meeting. * The 4th Quarterly Meeting of the Council was hosted by the Triangle Chapter in Raleigh, NC. - Open the below downloadable files to review the President's Welcome Letter and other documents from the meeting. - Pictures from the Friday night meeting can be seen by following the below link to the Photo Gallery. * The below downloadable files include the agenda for the meeting as well as various documents needed by the officers, BOD and Presidents to effect the business of the Council. * This posting contains information used by the NC Council BOD and Chapter Presidents during the quarterly Council meeting that was held in Durham, NC. * The below downloadable files include some from the 1st Quarterly Council meeting in Pinehurst, NC and the teaching documents that helped make the Council's Boot Camp as part of the 2nd Quarterly Council meeting in Durham a smashing success. * The 1st quarterly meeting of the North Carolina Council of Chapters was hosted by the Sandhills Chapter, LTC Gary Marlar, President, at the historic Carolina Hotel in Pinehurst, NC on January 17 and 18, 2014. * Open any of the below downloadable files to read/print documents or information that was discussed at the North Carolina Council of Chapters Board of Directors on Friday, January 17, or as part of the regular business meeting on Saturday, January 18. * The 4th Quarterly North Carolina Council of Chapters meeting was hosted by the SENCLand Chapter at Fort Fisher Air Force Recreation Center, Kure Beach, NC. * The invited speaker for the Quarterly Council meeting was CAPT John Plehal, Director, Membership and Marketing, MOAA, who attended the meeting and installation ceremony due to a schedule conflict for COL Barry Wright. * CAPT Plehal's PowerPoint presentation to the Council is contained in the below downloadable files...click on "NC Council Oct 2013" to open/read/print. * As scheduled, CAPT Plehal officiated the ceremony to install COL Jeri Graham as the new North Carolina Council President, the completion of LTC Robert Garman's two year tenure as President, and the installation of two new Vice Presidents, CAPT David Lee and COL Harley Ellinger. * Click on the below link to view pictures from the quarterly council meeting. - On Friday evening, a Cook Out was held featuring a steak and chicken barbeque prepared by members of the Chapter at the Fort Fisher Beach House. - On Saturday, October 26, an optional tour to Southport, NC was provided for spouses of Council members. - Open any of the below downloadable files to read/print documents or information that was discussed at the North Carolina Council of Chapters Board of Directors on Friday, October 25, or as part of the regular business meeting on Saturday, October 26. * The 3rd Quarterly NC Council of Chapters meeting was co-Hosted by the New River and High Country Chapters, MOAA. * The host location was the Jefferson Landing Resort and Golf Club in Jefferson, NC. *A spouses program that was held on Saturday at 10:00 AM was a fashion event entitled "We've Got Your Look" by Dr. Libby (Libby Cockerham who has a store in Jefferson, NC.) Following the program, some of the spouses went on an auto tour of the town of West Jefferson to see the Ben Long Frescoes at the Episcopal church and many of the arts displays, as well as the "3 Cows" at the Ashe County Cheese Museum. * The downloadable files, below, contain the information about the meeting, including the Friday evening program, reservation forms and information about the Saturday morning NC Council of Chapters meeting. * The documents from the NC Council business meeting are also included. * On Saturday, following the Council business meeting, a group of 10 also played golf on Jefferson Landing's award winning course. Photographs from the meeting are posted in the Photo Gallery so be sure to open a link to the gallery and enjoy pictures from the event. For other North Carolina Chapters interested in learning more about Generation eXcellent, the musical troupe which performed at the 3rd Quarterly meeting dinner, follow the below link to read about the group, their outstanding leaders - Jeff and Pam Miller - and their schedule of events. * The Eastern Carolina Chapter hosted the 2nd Quarter Council of Chapters meeting on April 26-27, 2013 at the Hampton Inn, 905 N. Spence Avenue, Goldsboro, NC. 27534. *A spouses tour on Saturday visited the Waynesborough Historical Village; Andy Anderson led a tour of the village. * The downloadable file, "All in One" below, contained the information about the meeting, including the Goldsboro Chapter Welcome flyer, lodging and reservation information, the Friday evening dinner information and reservation form, directions to the Goldsboro Country Club and information about the Saturday morning NC Council of Chapters meeting. * The Coastal Carolina Chapter hosted the 1st Quarter State Council meeting on January 25-26, 2013 at MCAS Cherry Point. * The downloadable files - below - contain the minutes, materials and presentations that were utilized by the NC Council of Chapters BOD and Presidents at the meeting. Follow the link to see pictures from the Friday, January 25, 2013 dinner at the Miller's Landing club aboard MCAS, Cherry Point. The 4th Quarter meeting of the North Carolina Council of Chapters (NCCOC) was held at the Hyatt Place, Greensboro, NC on November 3, 2012. Photographs from the meeting are posted in the Photo Gallery...follow the below link to view the pictures. Open the below, downloadable documents to review business items published from the meeting. The 3rd Quarter meeting of the North Carolina Council of Chapters (NCCOC) was held at the Mountain Lodge and Conference Center, Flat Rock, NC on August 18, 2012. The 2nd Quarter meeting of the North Carolina Council of Chapters (NCCOC) was held at the Crowne Plaza Hickory, Hickory, NC on June 9, 2012. Photographs from the meeting are posted in the Photo Gallery...follow the below link to view the picutres. During the regular business meeting of the NCCOC, several presentations were made to support Chapters and strengthen them in their activities to maintain and grow membership. The annual meeting of the Military Officers Association of America was held in Phoenix, AZ. 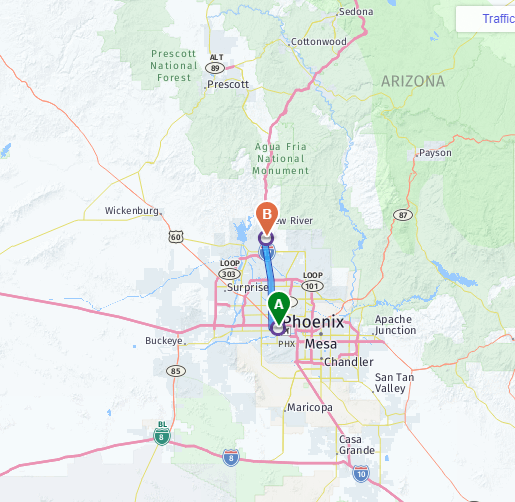 * The Veterans Memorial in Anthem, AZ is a short 31 miles north of Phoenix, AZ (see the accompanying map in the download, below). * If participant's travel itinerary permits, a side excursion was recommended, e.g., a visit to the memorial on Veterans Day, November 11th, because at precisely 11:11 a.m., the sun’s rays pass through the ellipses of the five Armed Services pillars to form a perfect solar spotlight over a mosaic of The Great Seal of the United States. * Designed by Anthem resident Renee Palmer-Jones, the memorial's five marble pillars represent the five branches of the United States military and is dedicated to honoring the service and sacrifice of the United States armed forces. * Although MOAA Chairman of the Board GEN Tony Robertson, Jr., USAF, Ret, was greeted by Disney's "Official" Host (above right), the 2015 Annual Meeting was no "Mickey Mouse" event...the 2 & 1/2 days of meetings, the Community Heroes Awards Dinner on October 30 and the Levels of Excellence Awards Dinner on October 31st were truly inspirational! * GEN Robertson also shared remarks at the annual business meeting (below right) thanking VADM Norb Ryan, USN, Ret. for his exceptional leadership over his past 13 years at the helm! * Mouse over the thumbnail photographs to the right to see pictures of other meeting events and attendees. - Community of Heroes Master of Ceremonies Lee Woodruff addresses the opening of the dinner. - Lee Woodruff announces the recipient for the MOAA Military Family National Service Award Bonnie Carroll (shown center) with GEN Robertson, GEN Dennis Via, USA, U.S. Army Materiel Commander, one of the award sponsors and VADM Ryan. - NCCOC attendees Marie Senzig, George Brudzinski, Maria and Juan Chavez. - NCCOC President Jeri Graham, COL Mike Rogers and Ed Baisden. - MOAA Director of Council and Chapter Affairs, COL Barry Wright and Cathy Ehrhardt. - Past MOAA BOD member, Bruce Hamilton and his wife Cindy with Cathy Ehrhardt. - George Brudzinski and Cathy Ehrhardt. - More NCCOC members Maria Chavez, Doug Ehrhardt, Juan Chavez and Marie Senzig. - One of three Canine Companions for Independence attending the event. * The annual meeting of the Military Officers Association of America was held on October 27-28, 2014 at the Sheraton National Hotel in Arlington, VA.
* The annual "Levels of Excellence" Dinner was October 27, 2014 at which time the eight North Carolina Chapters received their 4- and 5-Star Streamers. * The Annual Meeting of the Association was held on Tuesday, October 28, 2014. * The "Community Heroes" Dinner, always a memorable evening where select individual and groups are recognized by MOAA for their outstanding support to military members, veterans and their families was held on October 28th. Follow the below link to open/view photographs from the annual meeting. * The MOAA President's Symposium for invited Council and Chapter Officers was held in Jacksonville, FL on September 4-6, 2014. * The below, downloadable file has the schedule of events, hotel and airport ground transportation and a spouse's tour information for the event. The list of North Carolina Council and Chapters representatives confirmed for travel to the President's Symposium is included in the below, downloadable file, "140904 - NCCOC Representatives..."
This is a document Gary Marlar provided at the 2nd quarterly North Carolina Council of Chapters meeting for use by Chapter officers. The below downloadable file is the current - January 9, 2016 - copy of the Council's By-Laws. 1. Open the expense form here: NC Council Expense Voucher (F), or click on the download link, below. 4. After filling out the form, save it to your computer using a NEW file name as the form is write protected; then e-mail it to the NC Council Treasurer as an attachment. (You won’t need to print a 2nd copy - unless you want to - as you'll have the completed form resident to your own files on the computer. Enter "Expense Voucher" in the subject line of your e-mail which will then serve as alternative to a signature on the form). Note: If you can SCAN the requested receipts, they can also be attached to your e-mail. Check the box that indicates the receipts and sales slips are included, or the box to indicate that the receipts will follow via snail mail to the Treasurer. 5. Viola! In the blink of an eye (or at the end of the next quarterly council meeting), the NC Council Treasurer will send you a check. - As an alternative to the methodology above, when you have the form open on your computer, simply select PRINT to get a blank form...fill out by hand (penmanship counts!) and snail mail it, with receipts, to the Treasurer (name/address under the Council Officers link). - In the "Total" block, simply cross out the $0.00 and enter your own calculated total (rounding up is discouraged!). The North Carolina Council of Chapters (NCCOC) has established this Public Relations/Communication Policy and Procedures document for use by chapters. These policies and procedures will serve to define how our Council communicates, as well as how it is perceived by the various chapters and the public at large. It also serves as a guide for chapter activities and is a complement to the MOAA National's Chapter Public Relations/Communication Guide. The North Carolina Council of Chapters (NCCOC) holds quarterly meetings each year at which time member chapters volunteer to host the event. Unless prior arrangements are made with the Council President, the host chapter will coordinate a dinner meeting on Friday evening with NCCOC members and spouses attending, and the NCCOC will conduct a business meeting on Saturday morning with host chapter members and spouses invited to participate. * The attached downloadable file contains an updated letter from the 4th Branch regarding the efforts to achieve passage of legislation in North Carolina to extend Bailey to ALL eligible retirees. * The other attached downloadable file is the tri-fold that discusses the economic analysis regarding the Bailey-Patton Settlement prepared for the 4th Branch which is essential to explaining the rationale for getting Bailey extended. Click on the county by county map (right) to see the counties served by individual chapters within the North Carolina Council of Chapters (NCCOC).